My life completely changed one evening. I was on my commute back from my job as a trader in the City and realised enough was enough. The long hours, endless commute and growth of the digital economy had made me reassess the way I wanted to work and live. I promptly quit my job and began life as a freelancer. Initially the freedom and variety plus the opportunity to spend more time with my young family were exactly what I had been looking for. But as time went on, I realised I was spending too much time on the nitty gritty of running my freelance business (30 – 40 days a year on admin I estimated) rather then delivering client work and developing new business. I recently took part in SETsquared’s two-day EDRF funded Entrepreneurship Programme.That’s when the idea for Solo, my tech start-up, was born. 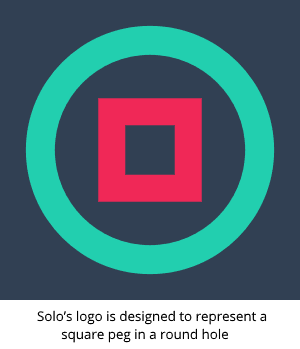 Solo is a free app that helps freelancers save time and be better with money; it replaces 10 different products and processes with one simple app freeing up time for freelancers to deliver great work and be financially secure. Solo combines CRM, API banking and beautiful UX to manage a freelancer business anytime, anywhere. 1. The one to one mentoring with experienced entrepreneurs is invaluable. They act as an independent sounding board and give you actionable feedback rather then just a yes/no answer. 2. Get back to basics. The programme forces you to look closely at your target customers, who exactly they are and what their rational and social drivers are. It makes you re-assess what you are doing and why and then articulate that in a simple, less jargony sales pitch. 3. Potential to access capital and recruitment. The programme gives you a good grounding on when and how you could access investment and you learn the difference between a user pitch and an investment pitch. Recruitment is another very tricky area for start-ups to navigate and the programme helps you to see when the right time would be to recruit and at what level would be appropriate. I’m due to launch Solo in June 2017 and am looking forward to doing that with the ongoing business incubation support that SETsquared has now offered. I wouldn’t hesitate to recommend the programme to other high tech entrepreneurs, particularly those at pre-seed or seed stage, it will really help you assess what you’re doing and why, helping put you on the path to success.